With consistent focus on quality, our company is engaged in offering a vast range of Laterite Stone. We are offering Chira Stone also. - Cement motor or plastering is not needed while laying walls. - For mammoth multistoried edifices Latston is being applied for wall partition as low thickness blocks which provide room more spacious. - Various thickness blocks are available. We are involved in offering Laterite Bricks to our most reliable clients which are situated all round the nation. Our array of Laterite Bricks are widely finds its valuable applications in various sectors. 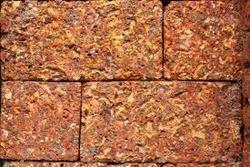 Our offered Laterite Bricks are mainly available at industry leading as well as at rock bottom prices. 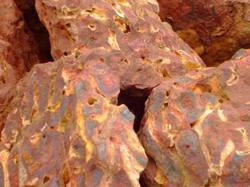 Red Laterite Stone is widely recommended by clients owing to its application specific design, robustness and consistent performance. Being a noteworthy business enterprise, we are readily indulged in presenting to our customers Laterite Stone House. We are dealing in Laterite Blocks. All the products offered by us are quality tested on well defined parameters.